On Saturday I headed out to my old stomping grounds in the western suburbs of Philly to attend a skincare/spa event sponsored by Therapon Skin Health at the Desmond Hotel in Malvern, PA. If you recall, I've been using Therapon's Theraderm Skin Renewal System for about 6 months now and with great success. You can see my original product review post here. It was an afternoon of pampering that started with a much needed manicure by Spring Nails. It had been a while since my last professional manicure. I was a bit of a trendsetter that afternoon. I chose Essie's "Smokin' Hot" for my nails, and it was a big hit with many of the other women in attendance. My manicure was followed by an upper back and neck massage. Timing couldn't have been better. The evening prior, I threw my upper back out. I felt so much more relaxed after the massage. After my massage, it was time for my facial. 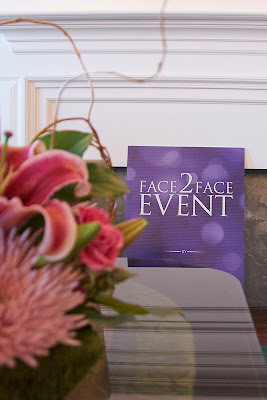 Christina Stumbaugh, the social media marketing manager for Therapon attended the event and was on hand to give facials. 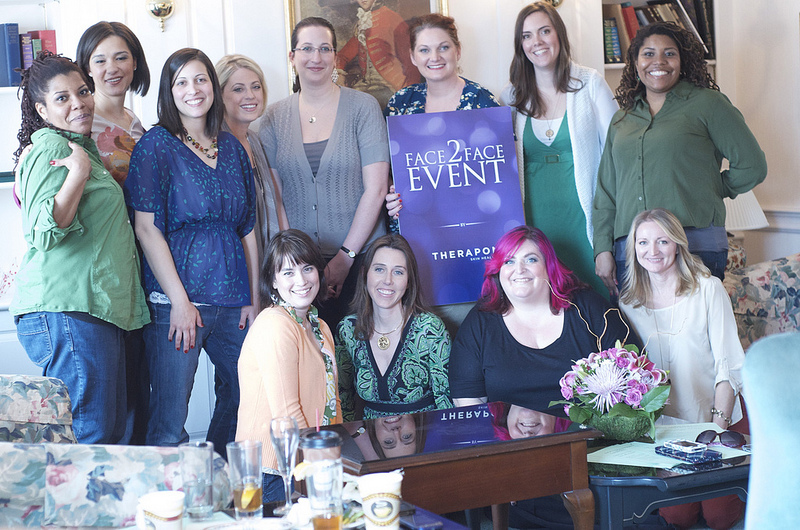 Christina used the Therapon products that I use on a daily basis for our facials, but oh my goodness, it was so luxurious to have someone else do this for me. 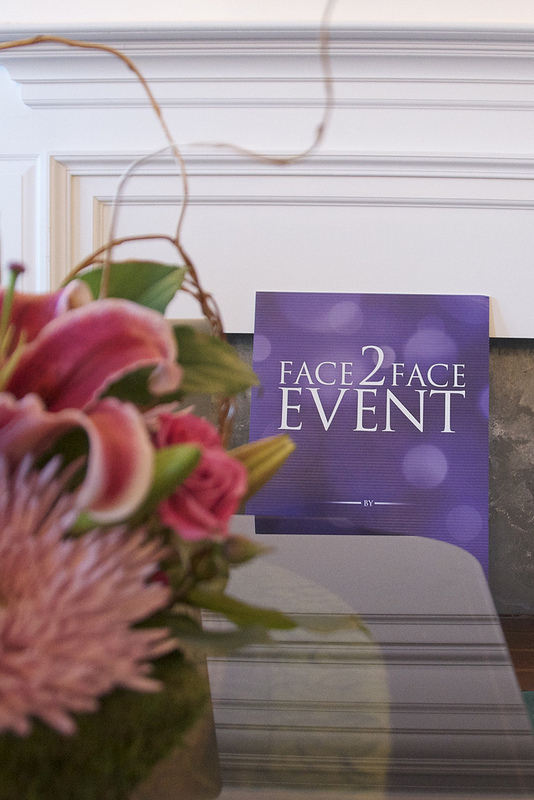 Of course, every facial should be followed up with a professional make-up application. Ulta Beauty. I loved the natural makeup that my makeup artist used. She gave me some tips on products to use to get that dewy look. After everyone was pampered and primped, we posed for a group shot. Don't we look lovely? One of the aspects I love most about these events is connecting with other women. This was a small, intimate group, and it was the perfect setting for sharing. We talked about our respective skin dilemmas, our nails and the nail polishes we like, our blogs, and just general girl-chat. And I was finally able to meet Christina. We've emailed, tweeted, and Facebook-ed for months. So fun to finally meet her IRL! Every great event includes some great swag! 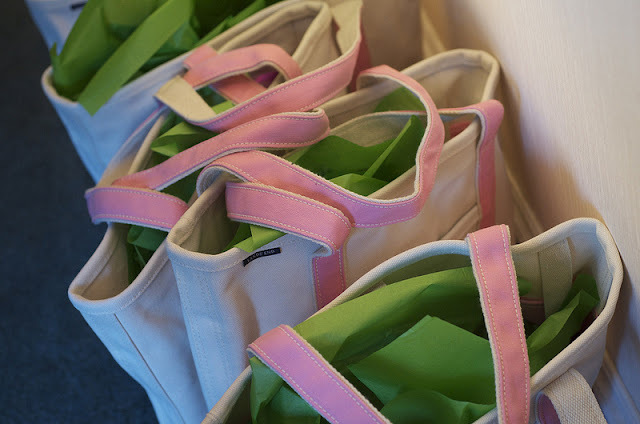 These fabulous Lands' End tote bags were filled with goodies from Therapon Skin Health, Lunch Skins, Payless Shoes, Happy Baby, Heartwork Organizing, Dawgs Bendables, and Divalicious Chocolate Dessert. Many thanks to Jo-Lynne and Christina for being gracious hostesses! Disclosure: I received complimentary services at this event. I received no monetary compensation, and was in no way obligated to write this post.